Food provides the energy and nutrients that young children need to be healthy. 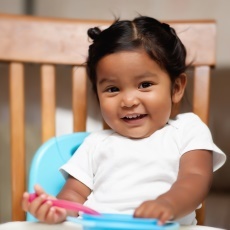 Toddlers are learning to feed themselves and to eat new foods. They should eat a variety of foods from all of the food groups.